I am more than a little bit excited to say “ta da” and present my Tova tunic offering! I will wear it tomorrow and see whether I want to adjust anything before I make another one, but can report that I enjoyed making it and am happy with the finished product! The only downside is that I have the tune of “Crimson and Clover, over and over” in my head because it rhymes with Tova! Now I need to get some sleep, so night all! 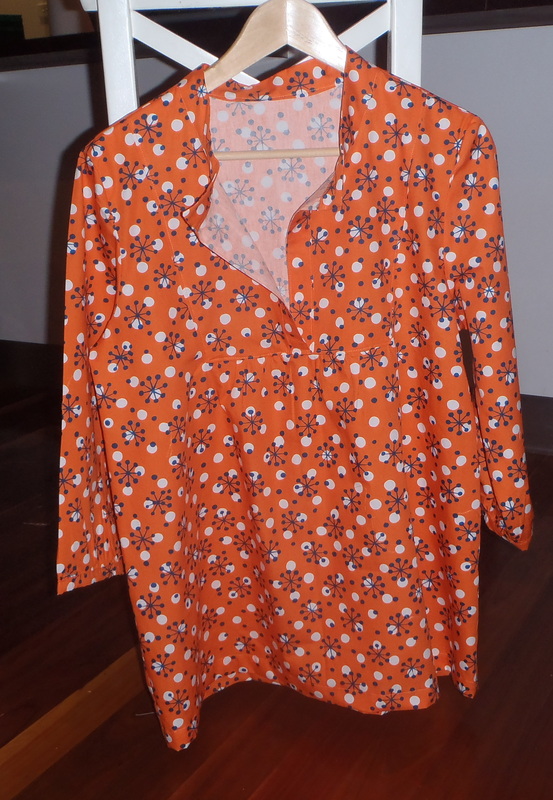 This entry was posted in Uncategorized and tagged Sewing, Tova tunic on March 21, 2013 by a little bird made me. ok am seriously impressed!! looking forward to seeing it tomorrow! !